Trusses start with a set of design plans for the project. 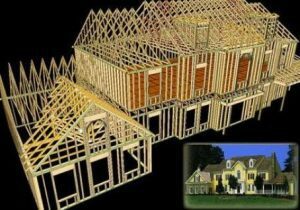 Our truss designers use sophisticated software to create a unique truss or floor plan for your job. 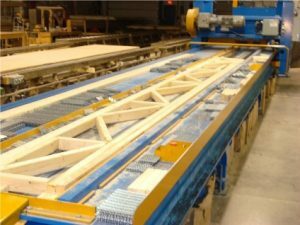 The grade and species of lumber, exact size and shape, and specific truss plates to be used are all taken into consideration. 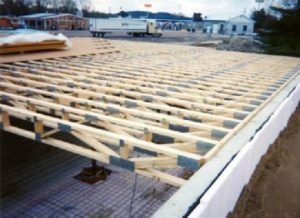 Trusses come in many standard forms for a variety of applications. 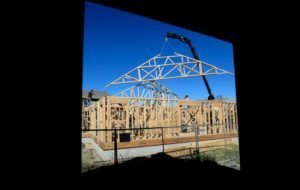 Gable-End, Girder, Valley, and Hip Truss systems are most commonly used. We can do whatever you need! Talk to our truss experts directly at (707) 263-7698. We are happy to deliver trusses to your job site when you are ready to install them. Roof deliveries are no problem. We have multiple crane trucks. We Deliver All Over Northern California! We deliver to Lake, Sonoma, Mendocino, Butte, Colusa, Glenn and surrounding counties! 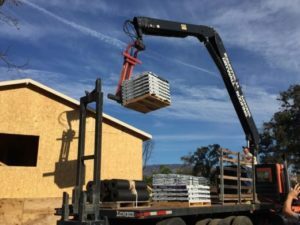 We have a large fleet of trucks, and multiple crane trucks, that are currently delivering trusses all over northern California. Please send us your plans and request a quote. Use the form below. Or call our Truss Plant directly at (707) 263-7698.